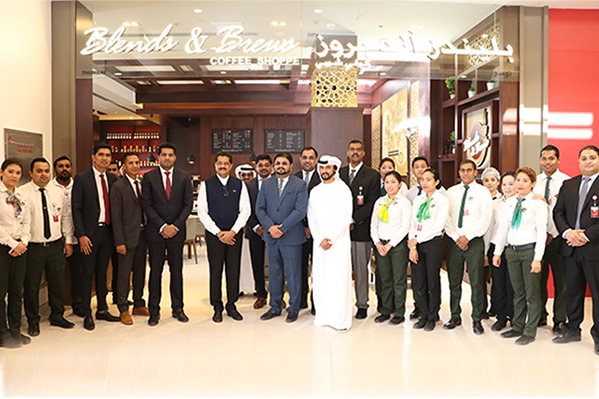 Blends & Brews Coffee Shoppe, the UAE-born international brand of coffee shops under Thumbay Group’s Hospitality Division, opened a new outlet at My City Center, Al Dahit, Ras Al Khaimah on Tuesday, 9th January 2018. 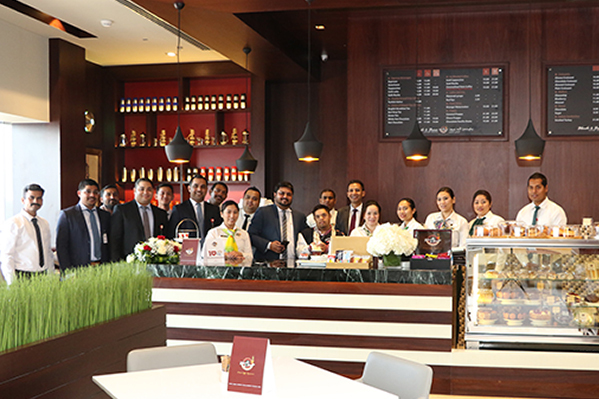 The coffee shop was inaugurated by Dr. B. Ahmed Haji Mohiudeen, Chairman of B.A. 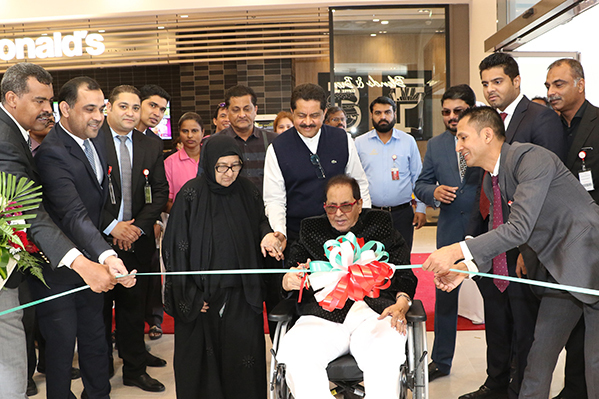 Group, India, in the presence of Dr. Thumbay Moideen, Founder President of Thumbay Group, Mr. Farhad C, Director of the Hospitality Division of Thumbay Group, and other members of Thumbay Group Board. In addition to hot and cold beverages including its signature blends Espresso Blends, Tropical Gold, Blenders Sparkle, Blends & Brews also has a short-eats menu designed in accordance with the local palate, to ensure quick service to customers without having them wait. Keeping in mind the customers’ requirements, Blends & Brews offers them seven varietals of Tea (both iced and hot), cold coffees, iced and creamy smoothie, soda pops, Gelato ice creams, thick creamy shakes and specialized chocolate drinks. Blends & Brews also has its own range of sugar-free delicacies including drinks, cookies and cakes. The stores are designed as attractive open spaces and the interiors are coffee-themed, based on the concept of modernity. The Baristas are professionals who are keen on giving customers a taste of the brand’s values, besides great coffee. The hospitality division of Thumbay Group operates three different brands: The Terrace Restaurant, Blends & Brews Coffee Shoppe, and Body & Soul Health Club & Spa. The Terrace Restaurant is a multi-cuisine restaurant chain operating multiple outlets across Dubai, Sharjah, Ajman and Fujairah. Blends & Brews Coffee Shoppe has outlets in Dubai, Sharjah, Ajman, Fujairah and Hyderabad (India). Body & Soul Health Club & Spa operates five clubs in the UAE, including ‘ELITE’ and ‘LADIES ONLY’ facilities, offering extensive sports, recreation, fitness, health, social and youth programs. The sixth club will be opened in Fujairah, shortly.